Colliers is a global real estate firm. This tenancy is located at Level 14 – 1 York Street, Sydney 2000. 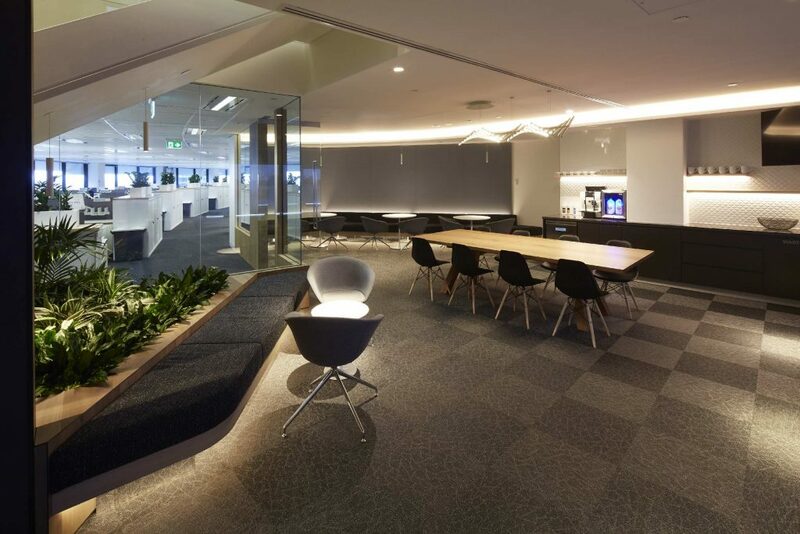 Colliers breakout area is enriched with cushioned bench banquettes and contrasting padded wall panels creating a place to relax in style. “Thanks for turning everything out so quick and at high quality.